You are currently browsing Heather Zeman’s articles. Run For The Wild: What do Baking and Running Have in Common? Wow! The last few weeks have flown by, and I’m happy to say that I’ve kept up my training schedule for the Run for the Wild, despite the fact that it feels like we’ve traded NYC for Seattle. For those keeping track with me, I’m now in my fourth week, and have one more run for this week. So far, I’m feeling pretty good, though I’ve definitely noticed my right leg seems especially prone to shin splints when I don’t stretch out. Lucky for me, I happen to work with colleagues who are more seasoned runners, so the other day I picked their brains about what I might do to ease my discomfort. Rachel Smith, an alum who is also a member of the Marketing team here at SPS, offered a particularly peculiar answer. 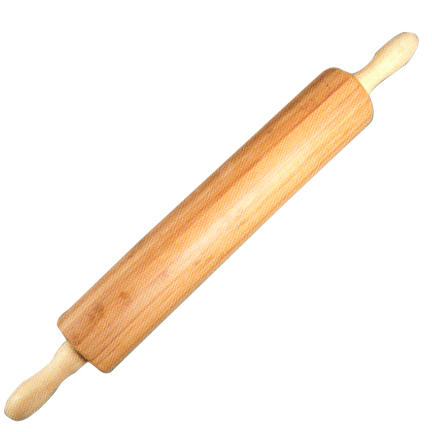 “Use a rolling pin,” she said. “I know it sounds crazy, but roll it down the front of your shin and the back of your calf before and after you run, and you’ll feel better.” I’ll admit, I was skeptical, but I looked online and saw that this was actually a pretty common recommendation among runners. Sure enough, I went home that night, tried the rolling pin trick, and by the next morning, I was pleasantly surprised at how much better my shins felt. Now, two days after the fact and with another run under my belt, I’m feeling no pain whatsoever. Guess there’s nothing like homegrown remedies! I’m off to do another run tonight, and am using these guys as my inspiration at the end of a long day. If you’re training along with me, drop a line or two in the comments section at the top of the post, and let me know how you’re doing! With one month to go, I’m feeling pretty good about the run. If you want to join the SPS team, visit www.wcsrunforthewild.org and sign up today! In addition to the run, you’ll also get free admission for the day to the New York Aquarium, two free rides at Luna Park, and lots of other entertainment! Be sure to use the RFTWCUNY discount code for $5 off registration! Heather Zeman is the Events Manager at the CUNY School of Professional Studies, where she coordinates a wide variety of recruitment and special events. She’s currently planning a gorilla trek, to take place in Summer 2012. Music is a big part of my life and I’ve found that listening to music when I work out really helps me to push myself when I’m tired or just don’t feel like doing anything. That said, it’s sometimes tough to listen to the same music over and over again. Below are some of the songs that I’m enjoying training to these days (in no particular order). Some of these have great rhythm for running, some are great for a cool down and a few just make me laugh with how over the top fun they are (I’m looking at you, Paul Stanley!). Regardless of the tune, though, the overall incorporation of music helps me to finish my workout with a smile on my face. Do you listen to music when you work out? What are some of the best tunes you’ve found? First things first, and in the interest of full disclosure, I want to be clear about this… I’m not a runner. Don’t get me wrong, I used to enjoy running when I was in shape to run…you know, back in high school. Now that I’m no longer, shall we say, conditioned, I’ll be the first to admit that I’m a bit nervous about this Run for the Wild. I’ve had a couple of friends train for runs like this, though, and to a person, they’ve all raved about the Couch to 5K training program outlined on CoolRunning.com. The program is an interval-based training schedule that allows you to build up your stamina and running ability over the course of 9 weeks. That gives just enough time to finish this training by October 6th, and have a few days to rest before the run on October 9th. After a little bit of research, I found that there’s also an inexpensive ($2.99 on iTunes) Couch to 5K app that can be synced to my iPod so that I can train with my own music. There are also lots of free podcasts that can be downloaded with pre-programmed training cues and music; just Google “Couch to 5K podcast” and you’ll likely find something to match your tastes! 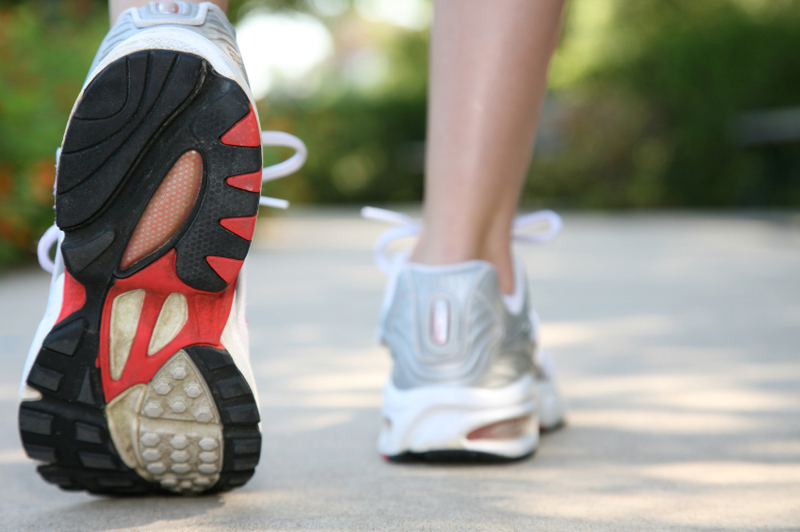 If you prefer to walk, you can also use similar training programs to build up to walking a 5K. A quick Google search found a host of options, including this plan from About.com, which also includes helpful tips at each stage and an event-day checklist. I’m heading out for my first run tonight after work, on what I’m renaming my “Desk Chair to 5K” plan, and hope that some of you will be too! By now, you may have heard that SPS is a sponsor for the upcoming WCS Run for the Wild, to be held on Sunday, October 9th, 2011 at the New York Aquarium in Coney Island, Brooklyn. We’re hoping to build a good-sized team of students, alumni, faculty, staff and friends of SPS to participate in this 5K event, and build some great SPS spirit! Participants can choose to run or walk at this event, which makes it accessible to a pretty wide audience, plus all participants get free admission the day of the event to the New York Aquarium. If you’re interested in joining the SPS team, either as a runner or a walker, you can sign up at www.wcsrunforthewild.org. Make sure you join the CUNY School of Professional Studies team, and use the promo code RFTWCUNY to get $5 off your registration. I’m choosing to run at this event, and will be blogging over the next few weeks about what I’m doing to prepare and how our team is shaping up as well as sharing behind the scenes details about the event itself. I hope you’ll follow along and join us on October 9th for a fantastic day at the New York Aquarium!